As signs of the End Times both man made and natural become impossible to ignore, it seems that an increasing number of people are willing to take survivalism to its ultimate conclusion: the doomsday bunker. It is still a relatively small market, but builders of fallout shelters and survival bunkers of all stripes are recording record sales in the wake of increasing natural disasters, chaotic political upheaval, and the threat of coming earth changes. Knowing that U.S. officials themselves have prepared for the very same cataclysmic scenarios through their Continuity of Government agenda, it would be wise to take a look at what the survival marketplace has to offer for those of us who don’t have the ultimate bunker, Cheyenne Mountain, at our disposal. A recent story highlighted luxury bunker living, replete with a wine cellar and nearly every manner of creature comforts. However, there is actually a wide range of survival shelters available at various price points and purpose. Do you want to prepare for short-term threats such as earthquakes, storms, or political unrest? Or a doomsday scenario such as 2012, nuclear strike, or massive earth changes? Do you want a personal family bunker, or fractional-ownership community living? 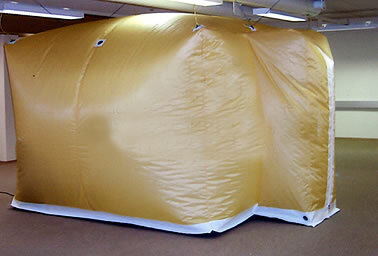 One of the least expensive and perhaps practical ways to protect you and your family in a short-term emergency is a portable Protective Tent from Underground Bomb Shelters. Starting at $8,800 plus shipping, their LSS-80 Nuclear, Biological and Chemical Protection System can be made fully operational in less than 15 minutes. Option 1: Do-It-Yourself — The video below shows a functional shelter created from an 8-meter long shipping container done on the cheap. If prepared properly this will enable survival of anything other than a direct hit. Option 2: Ready-Made — According to Hardened Structures, their most popular shelter is a $38,000 unit with a steel shell and blast door with air-filtering system. It is engineered to protect against nuclear, biological and chemical disasters, as well as catastrophic storms. These structures are waterproof, and can be expanded to accommodate additional residents employing a modular approach. 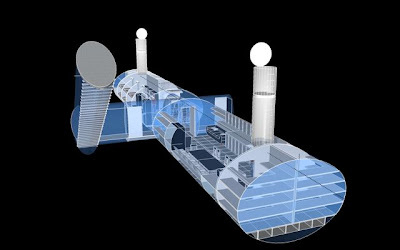 These premier underground shelters are built with steel both reinforced and insulated. One shelter holds over 2 years food supply for a family of up to 5 people. Shelters can be clustered together for more people and storage space. Available for 5, 10, 15 people or more. Shelters also can arrive completely stocked. Luxury Survival Condos: Developer Larry Hall has chosen Kansas as the place to house his 15-story condo complex with units ranging from $900K to nearly $2M. Living space is roughly 900 sq. ft. for 3-5 people and double that for 6-10 people. Beyond these luxury survival condos, all manner of custom construction is available, with suppliers stating that they have received orders into the many tens of millions of dollars. Unfortunately, less and less people have the means to afford a fully equipped, long-term survival structure, even if staying underground for months or years on end sounds like a viable option. If you have constructed, or purchased your own short- or long-term doomsday bunker, please contact us about the process, product report, or tips to reduce the cost — and we will post your experience anonymously if you wish. In the meantime, absent the ability to prepare for a doomsday that may or may not happen, it is wise to take reasonable precautions against rising food costs, supply line disruptions, and the host of natural disasters which are on the rise. If you believe that global catastrophe is going to happen in Dec 2012 you better take idea of building your own bunker seriously. An underground bunker will protect you and your family from natural and manmade disasters. This advises will be useful for you. • Use bricks or concrete to build the walls. But remember that concrete is expensive and concrete bunkers are prone to leaking and molding unless you have a proper vapor barrier on all sides of the walls and foundation and the roof. • On the roof you need to put a layer of vapor proof sheeting (like plastic sheeting or polyethylene), the logs (8 inch diameter) then straw for insulation then more vapor proof sheeting. And finally a layer of dirt. • On the floor is a layer of plastic and polyethylene sheeting. The floor frame goes on top of that; the floor frame is packed with straw. Plywood goes on top of the frame and is screwed to the frame with woods screws. Make sure the whole frame is wrapped in polyethylene sheeting and plastic sheeting. • Don’t build the bunker right in front of your house. Whether you have a bunker in case of global catastrophe in 2012, tornado or bomb, it can’t do you much good if it is too far to be convenient. Think about it: people that place their bunker in front of the house, next to the road are basically advertising that they have a bunker and probably have emergency items to last them in the case of an emergency. Advertising your bunker to the neighbors is fine if you plan on letting them inside but if you don’t, you are just asking for trouble. Most of the people in extreme situation can become violent and unpredictable. Here is a bunker plan from the manual “Installation and Operation Manual for American Safe Room’s Underground Blast Resistant Bomb/Fallout Shelter” The air that is introduced into your protected space needs to be safe, breathable air that is filtered from nuclear, biological, and chemical toxins. While this shelter is designed to protect the occupants from the kinetic effects (projectiles and debris) of a nearby detonation, a discussion of the nature of air filtration and ventilation in sealed shelters is pertinent to the understanding of this critical aspect of protection. The inside of a shelter is described as a “protected space.” This term is used to describe any enclosure that denies airborne toxins from entering into that space. In order to protect the occupants, you must control the flow of air through this space. The most efficient means of doing this is with positive pressure (overpressure — or “pressurized” air). In other words, the air inside the protected space is at a slightly higher pressure than normal atmosphere, preventing the migration of toxins into the protected space even if it is not sealed completely. If there is a crack or a small hole in the protected space, the positive pressured and filtered (safe and breathable) air inside will flow outward, instead of toxin laden air flowing inwards. Both static and mobile military protected spaces (command/control centers and vehicles such as tanks) all rely upon this principal. The air that is introduced into your protected space needs to be safe, breathable air that is filtered from nuclear, biological, and chemical toxins. This air must be pressurized as it is introduced into the shelter until a preset positive pressure (overpressure) is achieved inside the shelter. This is a function of the fan (blower) inside the Safe Cell and the overpressure relief valve working together to control the pressure inside the shelter. How well the protected space is sealed, and how the air is drawn in, filtered, pressurized, and then expelled must be engineered as a complete system. Air acts as a fluid — taking the path of least resistance in the constant attempt to equalize it’s pressure. This pressure forces the air into your shelter — bringing with it whatever toxins it contains. The significance of treating your protected space as a complete system and not just a collection of separate components thrown together cannot be overstated. You don’t have to be in active warfare to want a bunker. If you have lots of land and like to play games like paintball, then having a bunker can add a new dimension to the game. Whether it’s for safety or fun, here’s how to build your own bunker. Check the zoning for the land you want to build the bunker on. Many cities have strict guidelines on construction and require plans to be submitted and approved before any building or additions take place on a property. To avoid fines, contact your local building department. Decide the purpose of the bunker, how many people it needs to house and the accommodations that you would like to include when you build it. A bunker built for a paintball war may need to house a few people but need little else. A hunting bunker will likely only house one person, but would include a few more accommodations and possibly heat for the cold winter months. A safety bunker for a family would be a more permanent structure that has the ability to keep a family comfortable and safe for a month or even longer. Hire a licensed contractor for building a permanent bunker for emergencies. These shelters need to have a protection factor of 40, which is the minimum in the United States. These structures may also include fresh air ventilation, and account for any water leakage and ground water tables much like a basement. Start digging. Essentially a bunker is a hole in the ground, so that’s the first step no matter what plan you choose. Try to keep the walls as vertical as possible and continually measure to make sure that the hole you’re digging fits the plan you have, especially if different levels are needed for the bunker. Put in reinforcements while digging. This will ensure that the hole’s walls do not collapse during the process. Temporary reinforcements can be made from 2-by-4s and can be switched out to rebar for concrete foundation if necessary. Create a roof for the hole by using a structure of 2-by-4s and plywood. Material that is waterproof or will repel the elements should be used to cover the plywood. Account for any windows or entry holes while building the roof. * Note: Activist Post and PECAN Group does not endorse or receive compensation from any of the companies mentioned in this article. Products were selected based on quality of information and presentation only.